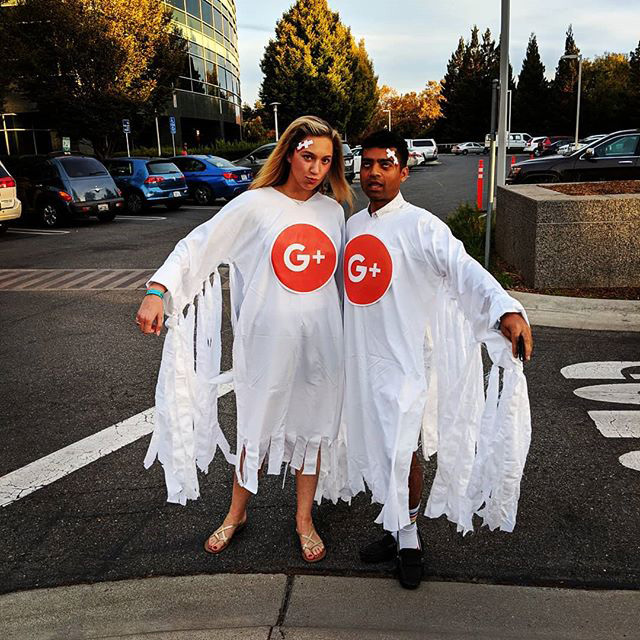 This photo was from back around Halloween but it is pretty funny because you have Googlers at Google dressed up as Google+ ghosts. This was on the day after Halloween. We all know Google is closing down Google+. They posted this on Instagram.